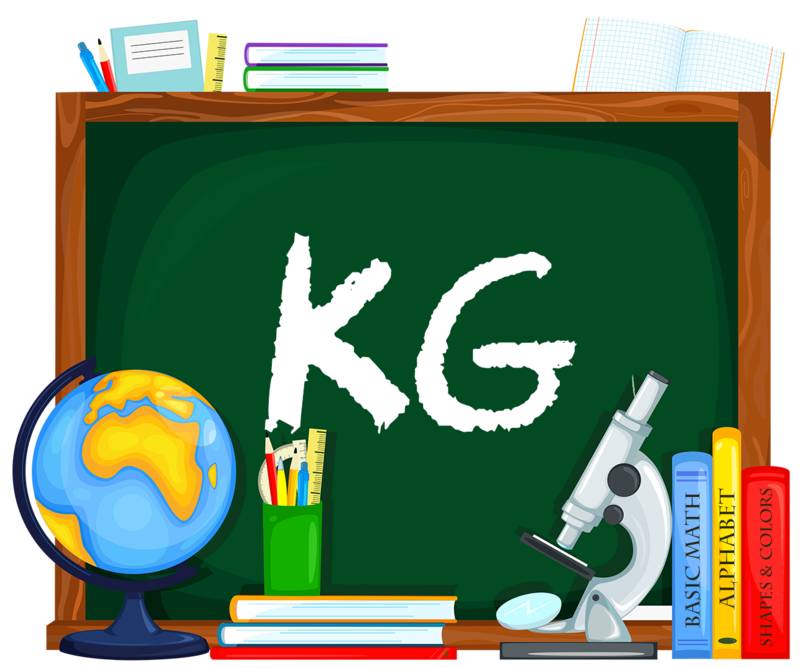 We hope that you enjoy your visit and that this provides you with the information that you are looking for about our Preschool-KG program. Our program is designed in such a way that it lets children explore language, math, science and geography areas. We provide a comfortable and soothing learning environment that will help children with their self-esteem. Our goal is to prepare your child for a lifetime of learning. Fun and easy kindergarten reading activities will help build students’ vocabularies and instill in them a sense of grammar and language. This will open up a whole new world for the students. Worksheets in class are highly encouraged and recommended. Colorful and “vibrant” worksheets help improve and advance visual and intellectual (mental) abilities of students. Encourage the students to “not speak” their mother language (Arabic, Hindi, Urdu, Tagalog), this is to build up their confidence and break their “shyness” to better communicate with their peers and others. Outdoor activities and undertakings are essential to the growth and development of KG students. It is important to encourage a curiosity and interest among kindergartners in the things around them. Reading is valuable and important to the learning and growth of KG students. For a better understanding of alphabets, words, and written and spoken English, Kindergartners will be more confident about their reading skills. Individual and class (group) reading drills and activities. KG worksheets in class is highly encouraged and recommended. These will cover important topics in math, reading, general knowledge, thinking skills and fine motor skills. Colorful and “vibrant” worksheets help improve and advance visual and intellectual (mental) abilities of students. Simple and fun, opening their interest and resulting in a greater understanding of the lessons taught. Stimulate the students’ oral, speaking and communication abilities and skills. Communication drills set are vital and needed for the teachers to better evaluate the communication skill level of every student. Outdoor activities and undertakings are essential to the growth and development of KG students. The process of learning basic outdoor class concepts begins at an early age and it is important for parents and teachers to encourage a curiosity and interest among kindergartners in the things around them. “Hands – on” teaching is vital and critical in the learning and growth of Kindergartners. Bring in different visual materials and aids in subjects like math and science. Activate the students’ senses in learning the world around them. Enjoy playing with other children, share toys with them. Very observant easily notice changes. Want to explore and experiment. Try to understand concept of time and space. Show qualities of leadership; some prefer to follow. Love to bring about new accomplishments particularly newly learned skills. Begin to distinguish beginning sounds phonic differences and similarities. Can draw happy and sad faces draw neatly. Show interest in pictures and printed words in figures and numbers can count 1 up to 100.